Thailand has long been a favourite tourist destination and it's not difficult to see why. Lush white-sand beaches, delicious culinary delights, rich culture and smiling faces await. But with so much to offer where do you start? iVenture Card is here to help with the brand new Thailand attractions pass which includes some of the top paid attractions, tours and experiences across Bangkok, Pattaya and Phuket. Whether you're going to one city or multiple, your Thailand attractions pass can be used at over 30 attractions to save you up to 50% off usual gate prices and is a great way to experience more of amazing Thailand. You can create your own itinerary with our flexible packages and choose what you want to do. Pick your favourite 3 or 5 attractions with our Thailand Flexi Pass or if you want to experience more during your stay opt for the Thailand Unlimited Pass for 3, 5 or 7 days, plus unlock one of four premium attractions with a 5 or 7 day unlimited pass! 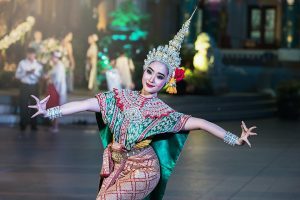 Pick from cultural experiences such as Thai cooking classes, Muay Thai and cabaret shows, enjoy Thailand marine life at aquariums and Dolphin shows or take in the sights and tastes of Bangkok on a cruise along the Chao Phraya river. Whatever your taste, you'll be sure to find lots to do with your Thailand iVenture Card!